What Are the Qualifying Courses Required to Pass the Real Estate Exam? It is very important to qualify the courses to get the real estate sales agent license. There are many real estate schools, offering courses to pass the real estate exam. Let us look in detail at the topics that cover five qualifying courses. In this subject, we will learn an overview of licensing as a real estate broker or sales agent, ethics of practice of a license holder; titles to and conveyance of real estate, deeds, legal descriptions, liens and encumbrances, distinctions between personal and real property, finance, real estate mathematics and closing procedures. It is compulsory for three of the classroom hours to be on federal, state, and local laws concerning housing discrimination, community reinvestment, and housing credit discrimination. In this subject, we will learn relationships between principal and agent, the fiduciary and other duties of an agent, deceptive trade practice, employment law, listing representation procedures, and the disclosure of agency. In this topic, we will learn the elements of a contract, the statute of frauds, offer and acceptance, remedies for breach including specific performance, commission rules concerning the utilization of adopted forms, owner disclosure requirements and unauthorized practice of law. In this topic, we will learn the unauthorized practice of law, broker-lawyer committee, and commission rules governing the use of forms, promulgated forms and case studies involving the utilization of forms. 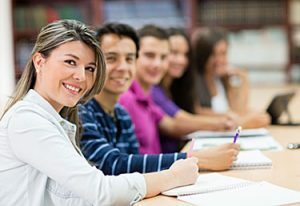 In this topic, we will learn monetary systems, federal government programs, primary and secondary money markets, loan applications, processes and procedures, sources of mortgage loans, closing costs, alternative financial instruments, community reinvestment laws, equal credit opportunity laws and state housing agencies. If the course presentation exceeds 12 classroom hours per calendar day, it will not be accepted. If the classroom course is provided by a qualifying education provider, college or university, it must have a final course examination or a final evaluation in any other form. The primary techniques, procedures or explanations of the qualifying course used by a particular organization are not a concern. The commission will not accept the same course title, topic or content if repeated within two years. Except for distance education qualifying courses, the applicant must present in the classroom for all the hours of credit that are required by the provider or as per the rules of the commission. There are two ways to qualify for the course: one is a distance education course and the other is classroom courses. For the distance education course, the completion of a qualifying course cannot be reported immediately. Therefore, the applicant can claim a waiting period based on the number of credit hours. The time between the registration of the course and the submission of the report to the commission should be twice the number of hours claimed for the qualifying course. The same process will be applicable to the education providers and license holders. For example, to report credit for a two-hour course, the time between the registration and the filing of the completion report to the commission must be at least four hours. For a distance education course, the applicant must pass the final examination under controlled conditions where the applicant is identified positively and the test graded by the examiner or instructor. For classroom courses, the applicant should attend the class and be taught in an area that is suited to instruction, but not in a work area such as in training rooms, assembly halls or conference rooms. When evaluating real estate courses for the education requirements, the commission may ask the applicant to furnish course outlines, syllabus, and course descriptions to support the credit applications. In addition, the commission may ask for official transcripts to verify the completion of coursework. How Much Does It Cost to Attend an Online Real Estate School? Are You Willing To Take Risks To Develop New Real Estate Properties? 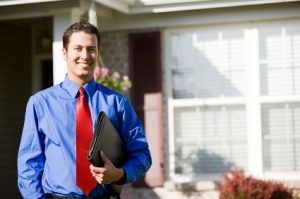 Could Selling Real Estate in Texas Become Your Next Career Choice? Just How Difficult Is It to Sell a Property in the Current Texas Market?